Many of our clients are overwhelmed with student loans and don’t have a very strong grasp with understanding the structure of the loan, type of loan, repayment options, forbearance, default, loan terms, or deferment. Over a period of several Blogs, I will make every attempt to break down student loan terminology and describe the intricacies of the major types of loans. The federal government will pay the interest on your Subsidized Stafford Loans under certain circumstances. Undergraduate independent and dependent students can borrow a maximum of $23,000. As of July 1, 2012, graduate students can no longer receive Federal Subsidized Stafford Loans. They are still eligible for Federal Unsubsidized Stafford Loans. Repayment begins 6 months after the borrower initially graduates, withdraws, or drops below half-time enrollment. Under certain conditions, the borrower can request a deferment—a repayment postponement—during which the federal government will pay your accruing interest on your behalf. Borrowers also may be able to postpone repayment of their loan payments with forbearance. However, interest still accrues and will capitalize if you do not pay it during forbearance. Typically, you have up to 10 years to complete repayment; however borrowers can also choose from various repayment plans. There are no penalties for prepayment or finishing repayment ahead of schedule. In a grace period. During the grace period, payments are optional, but any interest that builds up will be added to the principal amount of your loan (capitalized) when the grace period ends. In an approved deferment period. These loans are available without regard to need, but you must pay the interest on them the entire time. Unsubsidized Stafford loans are not based on financial need. Each year, dependent undergraduate students can borrow a base amount in either subsidized or unsubsidized Stafford loans. The loan type depends on the student’s need, which is calculated by the U.S. Department of Education. Up to $3,500 in the borrower’s first year of school. Up to $4,500 in the second year. Up to $5,500 in the third year and beyond. However, if the student’s aid has not exceeded the cost of attendance, the student can be eligible for up to an additional $2,000 per year in unsubsidized funds. With an additional $2,000 unsubsidized loan per year, dependent undergraduate students can borrow up to a maximum of $31,000 in Stafford loans. Of that $31,000, no more than $23,000 may be in subsidized funds. Undergraduate independent students and dependent students whose parents are unable to obtain a PLUS loan can borrow a base amount of Stafford loans. These can be either subsidized or unsubsidized, depending on the student’s need. Up to $3,500 in their first year of school. Up to $4,500 in their second year. Up to $5,500 in their third year and beyond. Up to an additional $6,000 in their first and second years. Up to an additional $7,000 in their third year and beyond. Undergraduate independent students and dependent students whose parents are denied PLUS loans can borrow up to a maximum of $57,500 in Stafford loans. As of July 1, 2012, all Stafford loans for graduate students are unsubsidized. Students may borrow up to $20,500 per year. Total Stafford loans, including undergraduate loans, may not exceed $138,500. There are different aggregate borrowing limits for health profession students. Repayment begins 6 months after the borrower graduates, withdraws, or drops below half-time enrollment. Typically, the borrower has up to 10 years to complete repayment; however borrowers can choose from various repayment plans. Under certain conditions, repayment of a borrower’s loans can be postponed with a deferment or forbearance. Interest will continue to accrue during periods of deferment or forbearance. These loans are available to students with exceptional financial need. Undergraduates can borrow up to $5,500 a year, for a maximum of $27,500. Graduate students can borrow up to $8,000 per year, for a maximum of $60,000. Repayment begins 9 months after a borrower graduates, withdraws, or falls below half-time enrollment. The borrower has up to 10 years to complete repayment. Borrowers receive limited options for repayment schedules, but they do have additional postponement options like Perkins-specific deferments and forbearance. Borrowers should contact their school or servicer to apply for a postponement. Your servicer is usually different from your other federal loans. It could be your school or a company chosen by your school. Parent PLUS loans are borrowed by a student’s parents. Borrowers must have credit in good standing. A co-signer may be required. Parent PLUS loans are not based on financial need. Parents can borrow up to the total cost of attendance at the student’s school (as determined by the school), minus all other aid received. These loans have no annual or total borrowing limit. Typically, borrowers have up to 10 years to complete repayment; however borrowers can choose from various repayment plans. Under certain conditions, borrowers can postpone repayment by requesting a deferment or forbearance. Interest will continue to accrue during periods of deferment or forbearance. No later than 60 days after the loan is fully disbursed. Upon request, 6 months after the student for whom the loan was borrowed graduates, withdraws, or drops below half-time enrollment. Parent PLUS loan rates are fixed. The rate for new loans is set each year on July 1. 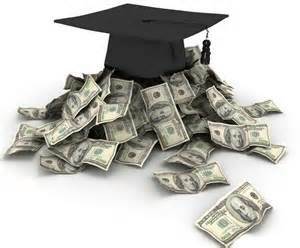 Grad PLUS can help pay for the additional cost of graduate school. Borrowers can borrow up to the total cost of their education, minus all other aid received. Repayment starts 6 months after the student drops below half-time enrollment. There are no penalties for prepayment or for finishing repayment ahead of schedule. The interest rate for Grad PLUS loans is the same as the rate for Parent PLUS loans. Consolidation loans combine multiple loans into a single loan. Borrowers with one or more eligible federal student loans. Based on your total education loan debt (including most private education loans), you could extend your repayment to a maximum of 30 years. Extending repayment may increase the amount of interest paid over the life of the loan. Consolidation loans can be reconsolidated when there are additional eligible federal education loans. Federal Family Education Loan Program (FFELP) borrowers can reconsolidate into the Direct Loan (DL) program to gain access to military benefits and Public Service Loan Forgiveness. Under certain conditions, the borrower can postpone repayment by requesting a deferment or forbearance. Interest will continue accruing on unsubsidized portions (but not subsidized portions) of a Consolidation loan during periods of deferment. There are several repayment plans available. Consolidation loans have fixed interest rates. The interest rate is calculated by taking the weighted average of the interest rates on the loans being consolidated and rounding up to the nearest 1/8 of a percent. Keep in mind that rates are capped at 8.25%. Outside the federal loan program, there are other lenders. These loans are similar to private loans. They are non-federal aid provided directly by your school. Your servicer may be your school or an agency hired by your school. Repayment options will vary, as will interest rates. If you have institutional loans, contact your school to learn more about the terms of these loans. Unlike federal student loans, private loans are not funded or otherwise processed by the federal government. Either the borrower or a parent can take out a private loan. These loans have a variety of interest rates, payment structures, and lengths of time to repay. Private loans do not have many of the repayment and deferment options that are available with federal loans. Private loans may be an important option if the borrower does not qualify for other forms of aid. State loans are provided through state-funded programs and are not affiliated with federal loan programs. These loans’ interest rates may vary depending on the state you are in. State loans have different benefits and requirements from federal loans, but they may offer more benefits than private loans. Contact your state’s office of education to learn more. This is great information for perspective college students and their parents. Knowing the difference in these loans now will pay dividends once the student is finished college and have to start paying these loans back.